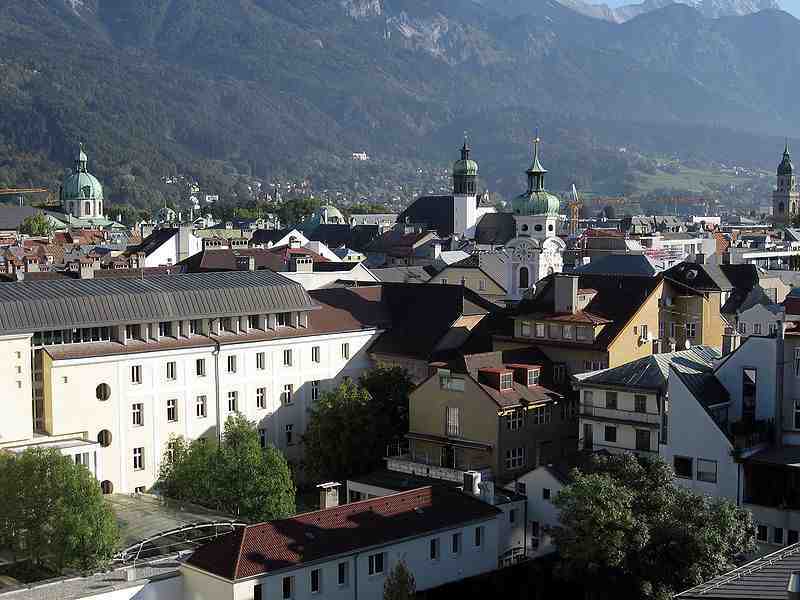 Innsbruck, Western Austria- exactly how many people picture a traditional European town! Innsbruck is a popular destination for skiing holidays. Nestled in the mountains of Western Austria it is ideally located for those who like to spend their free time gliding down slopes of freshly fallen snow. However, skiing is not the only thing that Innsbruck has to offer! The city’s main focal point is the Goldenes Dachll or “Golden Roof”, the glistening medieval roof built to please Emperor Maximilian. Goldenes Dachl- you can't miss it! Close by lies the Hofkirche (“Court Church”) which was by Ferdinand I as a memorial to his grandfather Maximilian I, Holy Roman Emperor and is filled with 28 bronze statues of Maximilian’s relatives, standing guard around his Cenotaph. At night Innsbruck is full of life, and there is something here to suit every taste. DJs perform at the Hofgartencafe, whilst elsewhere Austrians meet to sing the traditional songs of their homeland over some delicious beers. 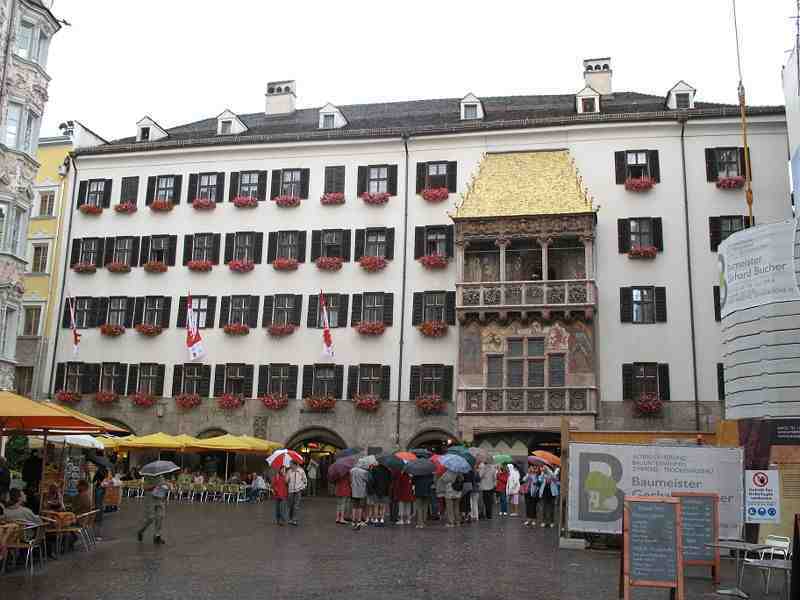 Innsbruck is filled with quaint and quirky little cafes in which coffees and small snacks can be enjoyed. There is also a wide selection of restaurants where traditional Austrian cuisine is served alongside popular international dishes. Skiing is not the pnly physical activity that you can partake in in Innsbruck. The mountains provide a beautiful backdrop to try your hand at snowboarding, and the Inn River is suitable for rafting. Innsbruck is home to the football club FC Wacker Innsbruck. FC Wacker Innsbruck’s stadium, Tivoli Neu, is one of eight stadiums which hosted Euro 2008, so is definitely worth a tour if you are a football fan! Innsbruck is also a beautiful setting for a cycle or a walk. Not sure what you were trying to say here. Innsbruck is so beautiful. Spent many years there. You need some pictures. The words don’t do it any good.